Location, Location, Location! Washington Manor, the newest Single Family Community offered in Fort Washington is proudly being introduced by Sal Paone. Welcome to the finest in quality and design by this award winning builder. You will enjoy a beautiful, private community set amidst acres of preserved wooded open space and walking trails. This extraordinary community will consist of 43 new single family homes. The convenience of easy access to Pa. Tpk, Route 309 and I -476 along with award winning Upper Dublin schools create an opportunity like none other! This is a rare opportunity to live in a community constructed on the grounds of the preserved, historic Emlen House which served as George Washington’s Headquarters prior to the Continental Army’s march to Valley Forge in 1777. 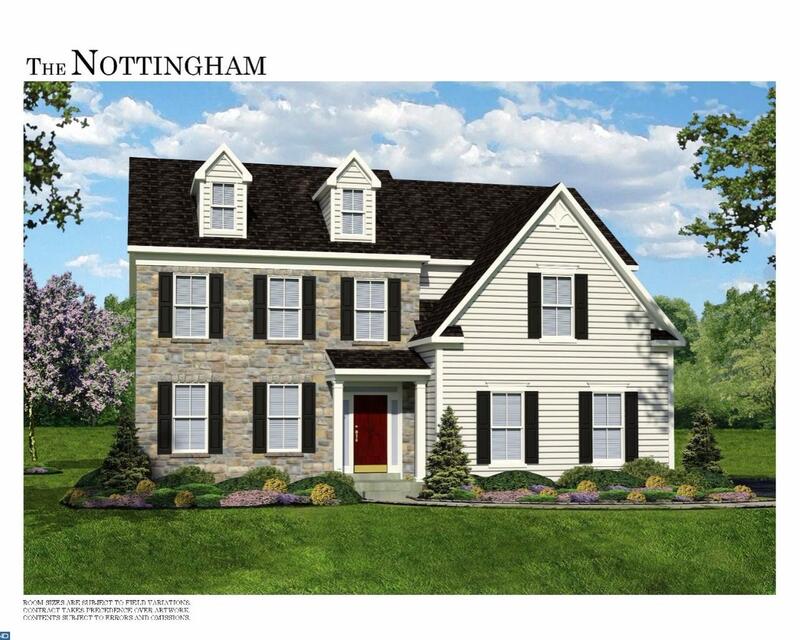 The “Nottingham”- a NEW and exciting floor plan will offer you the comfort and convenience of a luxurious “1st floor” Main Bedroom Suite and generously sized open Living/Dining area open to the Kitchen with Breakfast Room. A private Study, Laundry/Mud Room and Powder Room complete the 1st floor. The 2nd floor offers 2 additional Bedrooms (4th Bedroom optional) and Full Hall Bath. An abundance of very generous and impressive standard features on all of these Fort Washington single family homes will include 9′ foundation walls, 9′ ceiling on lst floor, 2×6 exterior walls, double hung windows, Hardwood flooring, Oak treads/pine risers on main foyer staircase, H GE Stainless Appliances, Granite Countertops in Kitchen and Ceramic tile in baths. Live the lifestyle you deserve- Welcome home!